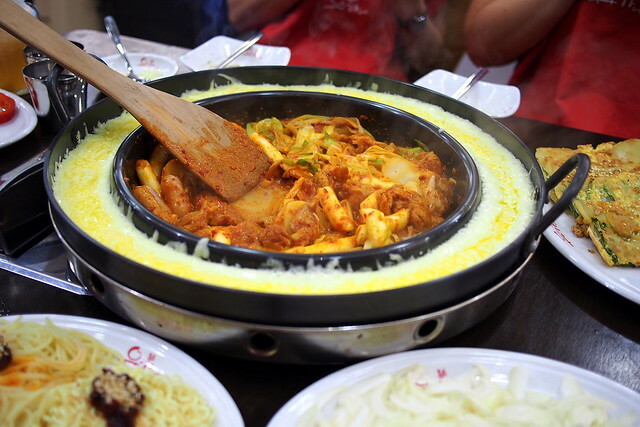 We had our first taste of dakgalbi when we were in Seoul. It was so good that my eyes were opened and my life was changed forever. It is addictively spicy and the fried rice at the end is EVERYTHING. 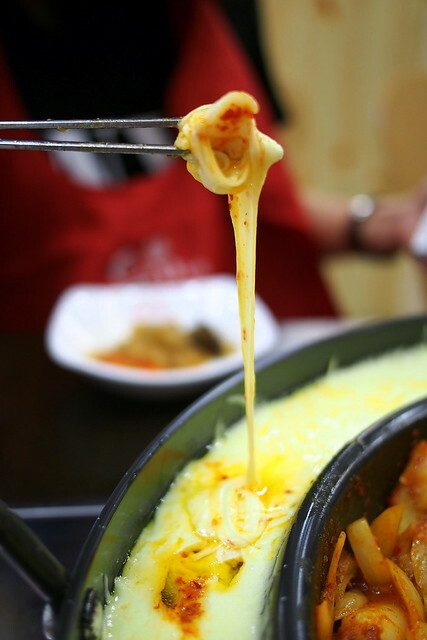 One of the famous chain dakgalbi restaurants in South Korea is Yoogane. 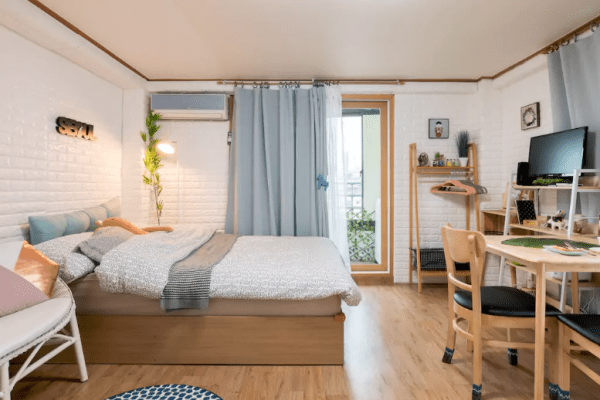 Yoogane was established in year 1981 and their first store was in Busan. Now it has multiple branches spanning all over South Korea. 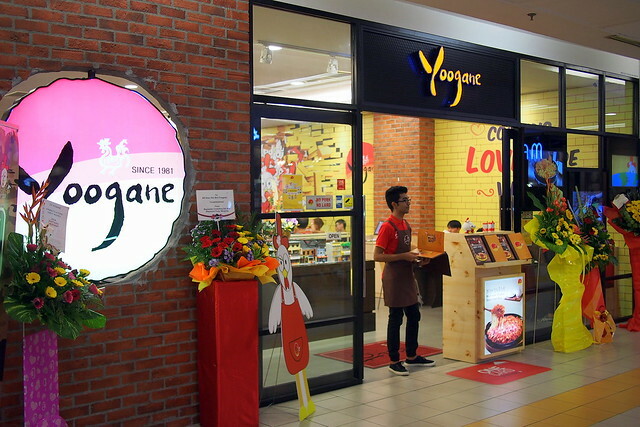 The good news is Yoogane is now in Malaysia, and their first outlet is located in One Utama! 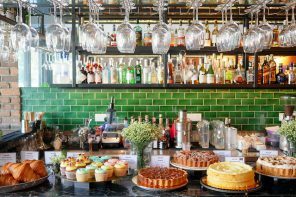 Apart from chicken galbi, Yoogane has an extensive menu that features the flavours and colours of Korean dishes that have since become local favourites. 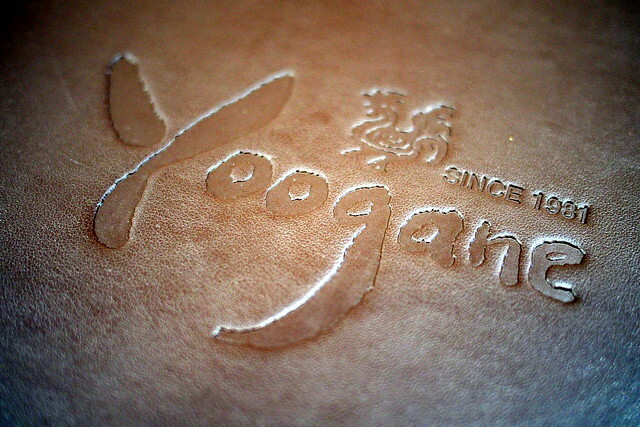 Yoogane believes strongly in Great Food for Great Friends, creating Great Fun moments at the restaurant. 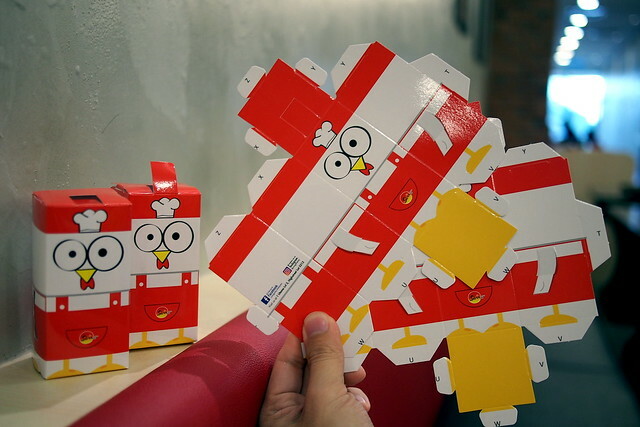 We had fun doing some origami work at the restaurant, even though it is meant for small children. KampungBoy who is a big lego fan loves the lego set at display in Yoogane. 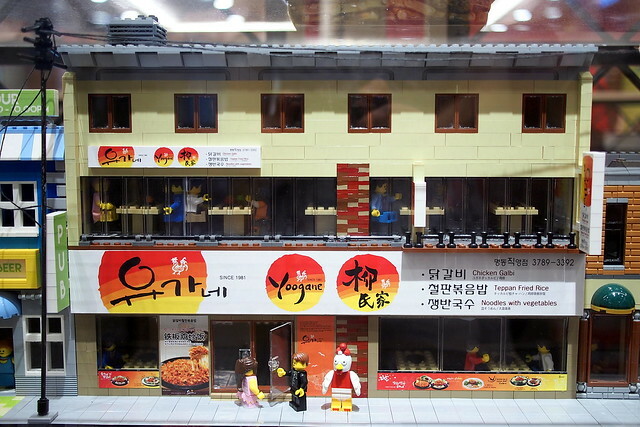 The customised lego set is depicting Yoogane’s first outlet in Myeongdong and just take a look at the amazing details! 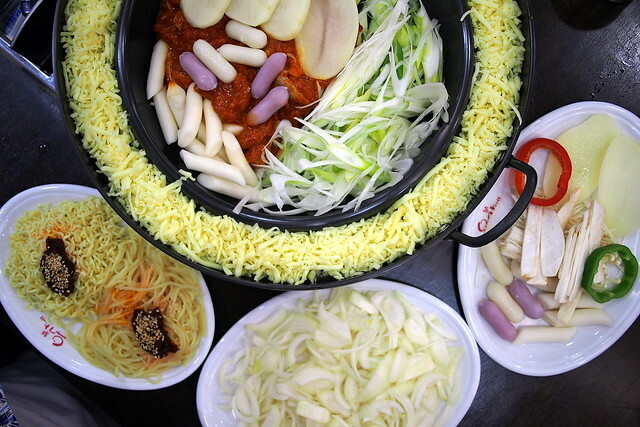 Yoogane’s patrons get access to the mini salad bar with kimchi, pickles and various greens. 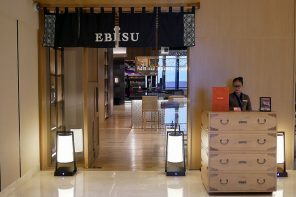 It is provided free of charge to every customers. 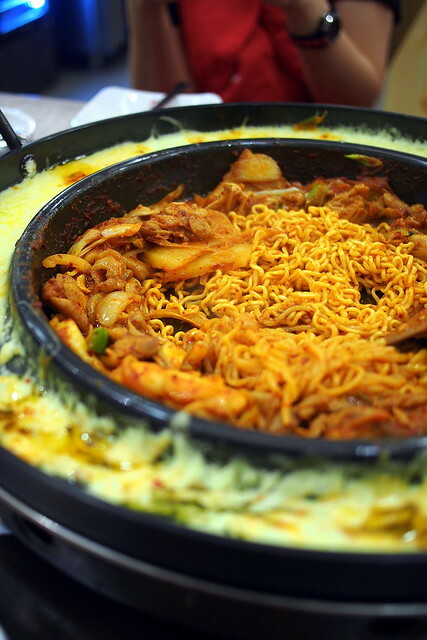 Dakgalbi is a popular Korean dish. Primarily, it is made by stir-frying marinated chicken pieces in chilli pepper paste sauce together with sliced cabbage, potato slices, onion, leeks and rice cake (teeok). 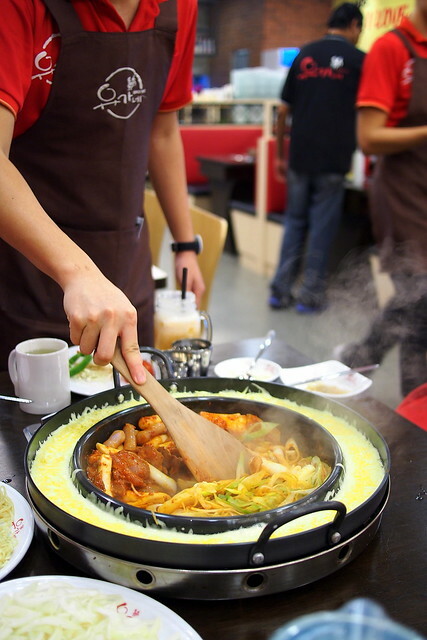 Other than the hearty feast of ingredients, Dakgalbi is cooked on a hot plate thus giving off a rich, savoury taste. Yoogane’s menu features covers a various types of galbi such as Original Dakgalbi, Seafood Dakgalbi, Chicken Galbi with Chukkumi Octopus and etc. 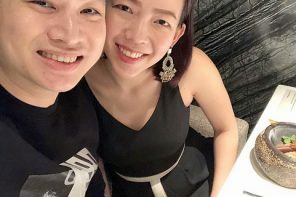 We opted for the Cheese Chicken Galbi (RM 89.90) to be shared among the four of us. I liked every part of the experience. The raw ingredients were brought to our table, and we slowly watch in anticipation as the waitstaff stirred and cooked for us. Every element works perfectly together – from the juicy and tender chicken, to the soft sliced potatoes, sweet leeks and squishy rice cakes that absorb all the glorious sauces! Our favourite was the sweet potato rice cake with sweet potato fillings and cheese rice cake with oozing cheese filling. So good that we ordered extra. Yoogane is really generous when it comes to the cheese portion. We kept dipping our chicken pieces into the melting gooey cheese. The creaminess really mellows out the spiciness, and the chicken looks so appetizing with a string of gooey cheese hugging it when you pull it out of the pan. Towards the end of the meal, the wait staff made us fried noodles with the chicken, vegetables, and sauce leftovers. I regretted not ordering rice though, because I prefer fried rice more than fried noodles. But we were so full by then! The portion is meant for 2-3 pax but it is more than enough for me and my group of friends (4 of us). 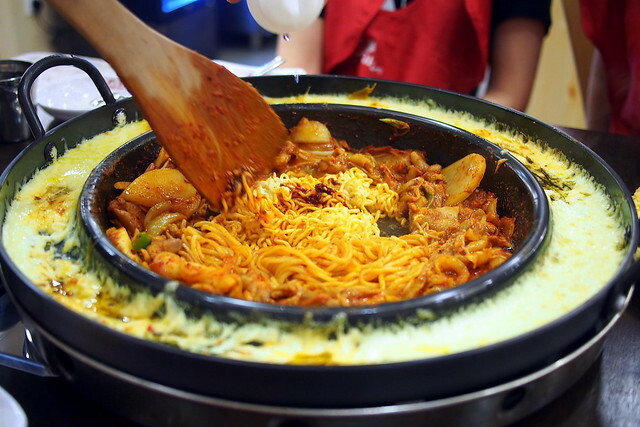 Dakgalbi is is one of the most fun and delicious communal dining experiences one can have, especially with friends and families. 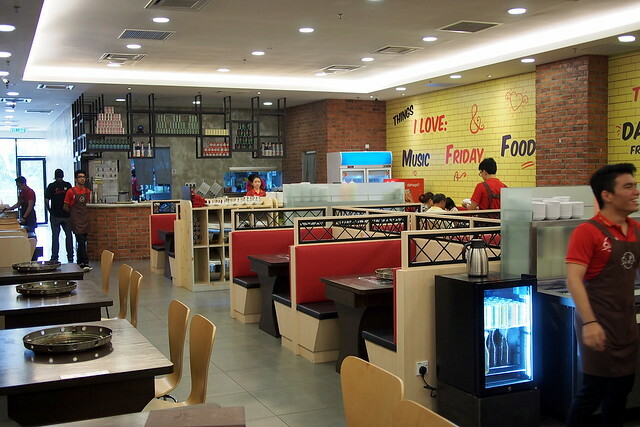 Do drop by Yoogane One Utama to experience all that fun and glorious spiciness. 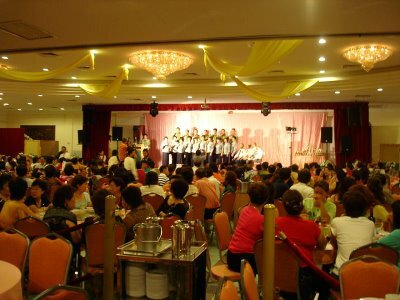 Birthday Promo & Set Lunch Promo will be launched in mid march, please acheck out Yoogane’s facebook page for more details: https://www.facebook.com/yoogane.malaysia/. 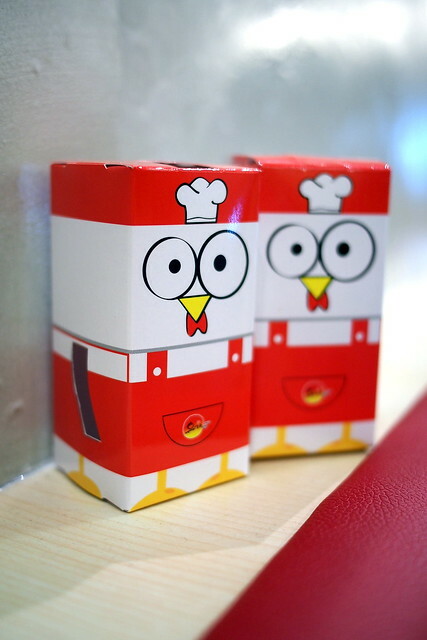 You can also mention “KBCGLovesYoo” for a 10% off total bill over the counter during billing (valid from 1 Mar to 30 Apr). *This review is by invitation.